I also have 15, sweet 16, 21, 30, 40, 50 and 80. 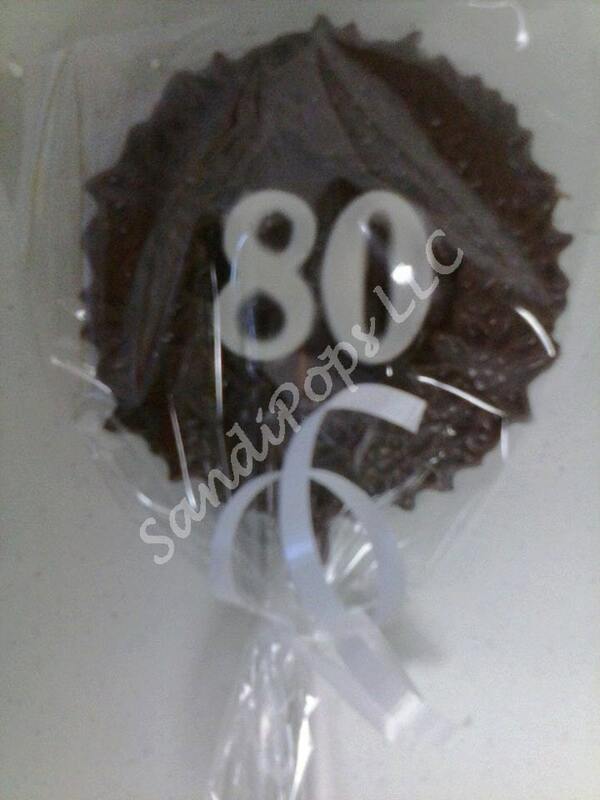 This listing is for solid chocolate pop with "80" in the color of your choice. 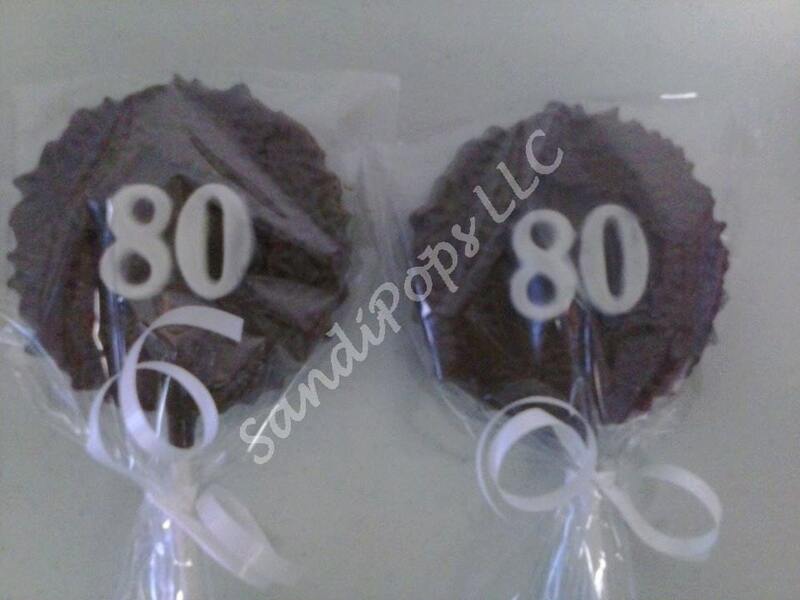 Also have solid chocolate pops at a lower cost. 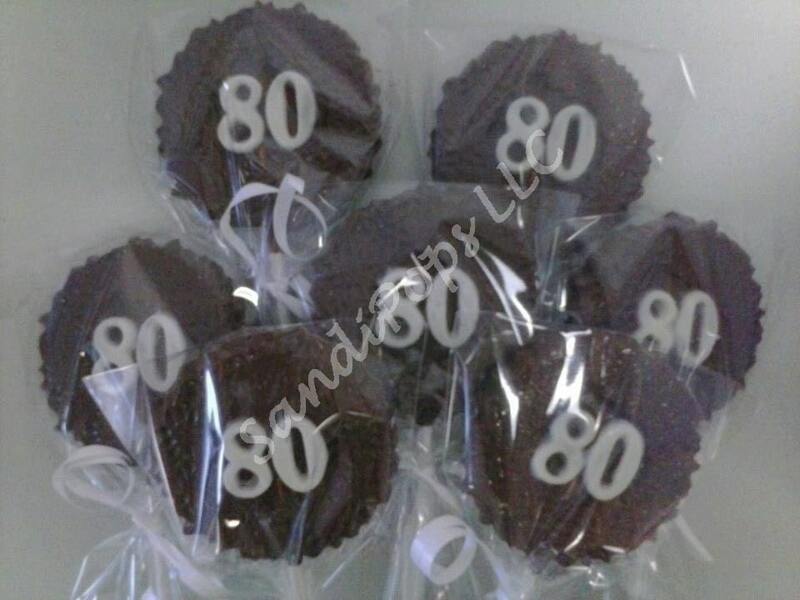 These delicious chocolate lollipops are made-to-order and will make a perfect addition to your tea party, shower or Alice in Wonderland inspired event. They can be used as a party favor, thank you, centerpiece arranged in a container, or a cake topper. This listing is for 24 lollipops- unless you wish to have more made. Each lollipop is individually wrapped in a bag and tied with a curled ribbon in a corresponding color. I can certainly make any number of pops you need, convo me for pricing.